Either way, you’ll need to get a job to stay here. While the Netherlands isn’t among the most expensive European countries to live in, rent in this densely packed little country can be steep, particularly in Amsterdam. It’s worth looking for work before coming here, and scouring the internet is often the first step. The following sites can make your search a little easier. Iamsterdam, the website of the city council, features a fairly basic job listings section, and lacks the extra features that makes some other sites stand out. Likewise, sites like VacatureKrant, Monster Board, Indeed, Stepstone, and Glassdoor all provide no-fuss job listings, and will probably be familiar to anyone who’s ever looked for work online in the last decade. Still though, for sheer volume of jobs offered, trawling through these boards is an ideal starting point. The Dutch government operates its own job site, found at www.werk.nl. A relatively straightforward site, it is however aimed at Dutch citizens. Listings are in Dutch, and users can log in with their DigId, only available to people already living in the Netherlands and registered with their local authority. Like Snakes on a Plane, Jobs in Amsterdam is exactly what you think it is. The jobs on this site are all offered to English speaking professionals, so if you speak the queen’s language, this is the place for you. 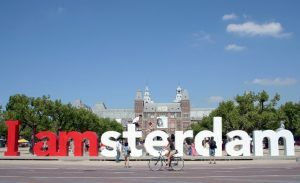 Jobs in Amsterdam’s sister sites also offer work in Rotterdam and The Hague, as well as other countries worldwide. Links can be found on the site. As well as providing a wealth of practical information for expats in the Netherlands, Iamexpat displays hundreds of job openings, and partners with recruiting agencies that can help you find the perfect job. The careers section on the site also provides valuable information on Dutch employment law, tax, and wages; and the guys at Iamexpat hold a twice yearly career fair in the Hague and Amsterdam. 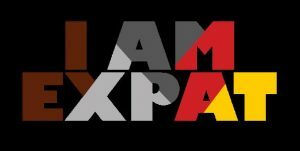 All of this makes Iamexpat the ideal “one stop shop” for everything career related in the Netherlands. Much like Iamexpat, Together Abroad offers jobs in a variety of fields, as well as coaching and CV advice. Many of the jobs offered here are multilingual, and the listings can be filtered by language, from Arabic to Chinese. The peculiarly named Job Coconut also specializes in multilingual jobs tailored towards the expat who wants to work abroad. The site offers jobs in 32 countries, including the Netherlands. Expatjobs.eu allows job hunters to sign up quickly and easily, and offers several hundred thousand jobs with the ability to filter searches by language. Looking for a Bosnian speaking position in the financial sector? Or an Armenian speaking role in tourism? Look no further. Blue Lynx is an intermediary between employers in the Netherlands and job-hungry expats. After a consultation, Blue Lynx profiles and matches job seekers with potential employers. In addition to this service, the company offers expats help in relocating and immigrating to the Netherlands. Undutchables is another recruitment agency aimed squarely at expats and multilingual talent. The site is nicely designed and offers well-written guides to life and work in the Netherlands as well as the usual job listings. They are the authority in recruitment in The Netherlands and in Sweden. Career Trotter is an international recruitment agency which has multilingual recruiters that have first-hand experience on what it’s like to make the move abroad, whether it be for their career or for more personal reasons. Each recruiter knows the tricks of the trade and the best ways to go about going abroad and how to best approach the job market. They are highly trained professionals in the recruitment space and are constantly on the hunt for motivated and enthusiastic expats interested in growing their experiences abroad here in Europe. 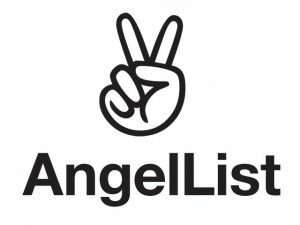 The Netherlands is a hot location for startups, and Angel List connects job seekers with new companies and entrepreneurs with investors. The site is global, but the startup scene in the Netherlands offers plenty of opportunities. Facebook’s boring cousin is a valuable and free tool in your job search. Functioning as a living CV and list of professional contacts, LInkedin allows you to portray yourself in the best light possible, and apply directly to employers in fields you’re interested in. While LInkedin is free, it’s worth shelling out for the €27 per month premium subscription. This bumps your profile to the top of any applications, allows you to message people outside your immediate contacts directly, and gives insights into other candidates who apply for the same jobs. It feels like paying to win, but if you can spare the money it’s worth it. Facebook is full of for-sale pages and job groups. Be sure to keep an eye on this page, or our very own page in case something good comes along. They’re a great place to ask for recommendations and get info on jobs which may not be heavily advertised, which may mean less competition. One of the things to keep in mind is you’ll encounter jobs from all walks of life, from digital marketer to cook. Use Facebook as a tool to get information, get insider tips and build your network and knowledge in a casual way. If all else fails, it’s time to hit the street. You’ll recognize uitzendbureaus by the job notices in their win dows. Some cater to students, while some are more professional. Likewise, some cater to Dutch speakers and some to expats. Jobs offered range from mail sorting to software development. Uitzendbureaus usually have a web presence too. Try Randstad, Uitzendbureau, or XL for a start. average of 8.3%. Wages too are generally decent, and the work/life balance here is one of the best in the world.